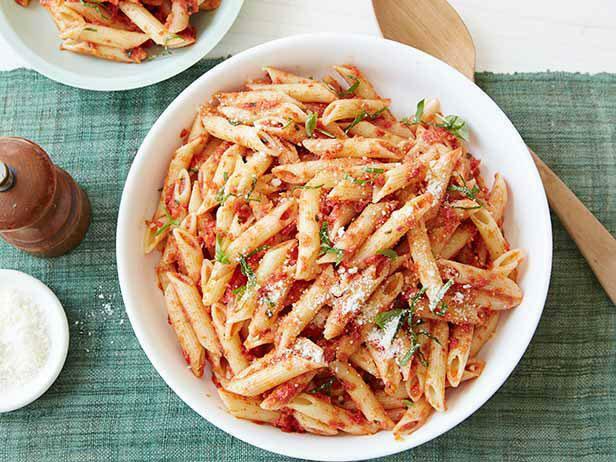 Ellie’s pasta recipe is simple, quick and extremely scrumptious! When we tested it we were so surprised it took less than 15 minutes to prepare! The salty sweetness of the sun-dried tomatoes, pungent fresh garlic and licorice-like, crisp basil provided a combo of flavors that even the kids loved! What an easy, delicious summertime pasta recipe! 15 minutes? Really? Yes!!! Cook pasta in a large pot of boiling salted water until tender but still firm to the bite, stirring occasionally, about 8 minutes. Drain, reserving 1 cup of the cooking liquid. Meanwhile, blend sun-dried tomatoes and their oil, garlic, salt and pepper, to taste, and basil in a food processor or blender and blend until the tomatoes are finely chopped. Transfer tomato mixture to a large bowl. Stir in Parmesan. Previous Post Parmesan Herb Popcorn–Popped Perfection!